There are events which are good, there are events which are great and then there are events which are GRAND! Saffola Masala Oats presented ‘The Other Side’ of healthy food to us and the event was grand- not because of the sheer number of attendees or the aura of the celebrity chef (the Michelin starred Vikas Khanna), but more so because of the cause - Giving the healthy food, a dash of Masala and a whole lot of twist and taste. 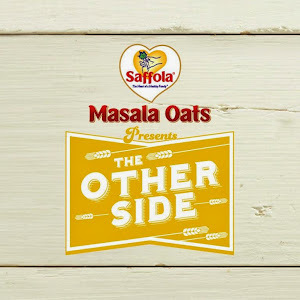 The Saffola Masala Oats ‘The Other Side’ began with a regular e-mailer invite. But what followed, was a super-innovative super-surprise! Who could have imagined that the prelude to a ‘delicious’ day would have made out of a couple of brinjals, a Tinda (Apple Gourd) and a Karela (Bitter-gourd) put up in a nice and bringht yellow box. But the best was yet to come. The event kick-started on a high with Samyukta, the host for the day and THE Vikas Khanna taking the centre stage with their funny one-liners and a promise for a delicious day ahead. What amazed and amused the gathering the most was the more than just a ‘touch’ of Desipan in the star chef. He is, as it seemed very evident, a true ‘Ambrsariya’ and it showed. Amidst the flourishing career in the States, he has managed to keep the desipan intact and it was indeed a spectacle to see him display every bit of it. From the choice of cooking ingredients to his quick anecdotes from his mother, India was written all over him. The Philips induction cookers went off on the stage as Chef Vikas stirred and tossed his magic in the tinda and made ‘The Gourd of small things’ out of the boring and bland vegetable. A superb display of how healthy can be made tasty, and easily so! Another round of cooking by Chef Khanna, but this time it was ‘crostini with peppy tomato’; a simple-as-hell recipe involving majorly just bread and Saffola Masala Oats. One of those dishes which would save you from all the tiring cooking if a bunch of kids decide to drop by. A similar module was followed again. The quiz, the contestants and the cooking! This time the ingredient was Saffola Masala oats and it was nothing less than eye-popping to see Koftas, upmas and pizza bases being made of the oats. As the event came to a close, we had one final jump of joy. A basket-full (literally) of Saffola Masala Oats and the Khanna-Sutra (Chef Vikas Khanna’s recipe book) was distributed to all attendees. Indeed a delightful day for a foodie. Thank You Saffola Masala Oats! 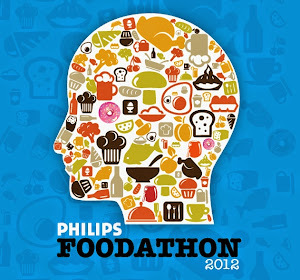 *Disclaimer: FOODATHON partnered with Saffola for organizing this event.